A biathlon competition consists of a race which contestants free-style ski around a cross-country trail system, and where the total distance is broken up by either two or four shooting rounds, half in prone (laying down) position, the other half standing. For each shooting round, the biathlete must hit five targets; each missed target must be “atoned for” either by skiing a short penalty lap, or time added to the total race time. The racer with the shortest total time wins the competition. What do I have to do in order to shoot on a biathlon range? There are three primary components needed in order to shoot on any range in the U.S. Range Safety Certification: Attending a Range Safety Certification course is mandatory for all new shooters. 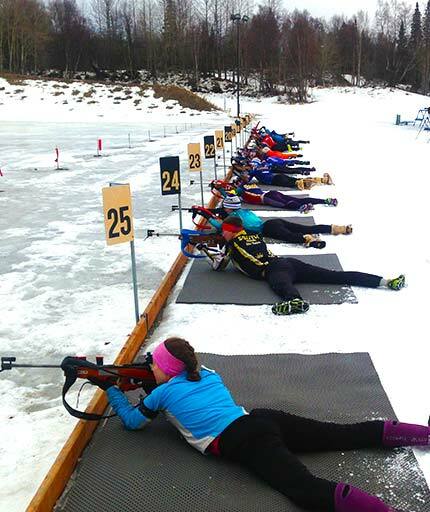 Alaska Biathlon Association sanctions courses that are offered periodically throughout the year. Classes cost $30, which includes ammunition and use of a rifle. 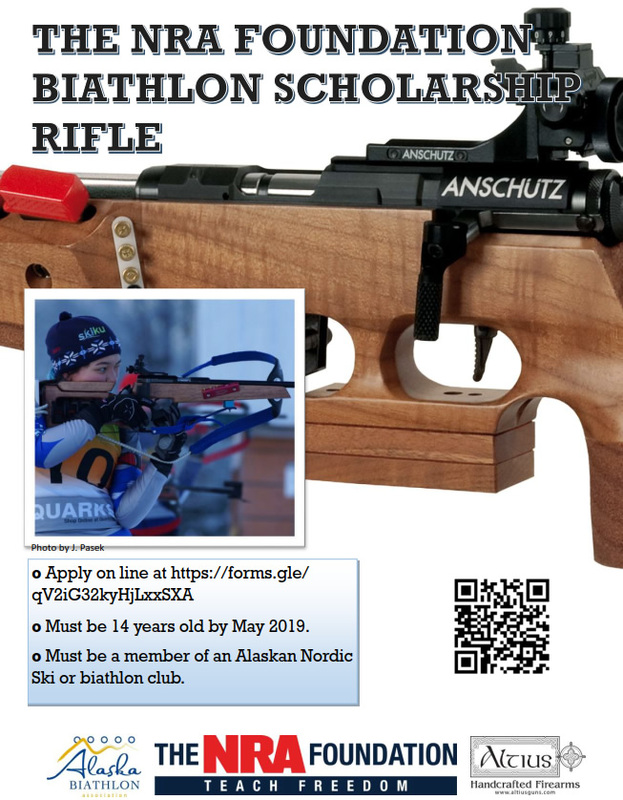 At the end of the course you’ll have an opportunity to sign up for U.S. Biathlon Association membership which is also required for shooting on any biathlon range in the U.S. Upon satisfactory completion of the range safety course and proof of USBA membership, a Range Safety Certification card will be issued to you. Your card needs to be taken to all biathlon training sessions. Sign Up for USBA membership! Range Fees: Check with your local range. Fees vary from location to location.